Light up your living room in style with the Arcs stylish, contemporary arc floor lamp in chrome, with a silver lined black fabric drum shade. The heavy chrome base provides a solid foundation for the extravagant overhanging arc, with silver lined black drum shade. Perfect to overhang your sofa or favourite comfy chair to give light to read by and provide an interesting focal point. 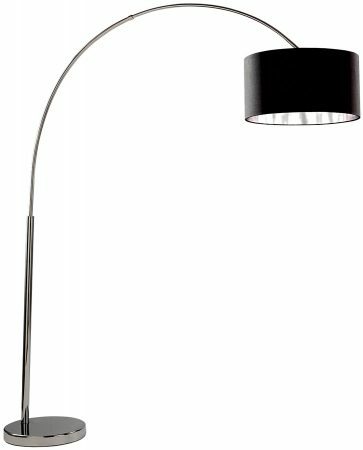 A super stylish curved chrome floor light, supplied with a black drum shade that has a silver lining for a crisp lighting effect. The perfect choice for a modern relaxation space, with a sturdy chrome base that swoops in an elegant design for maximum effect. Shade dimensions, 46cm wide x 25cm high. 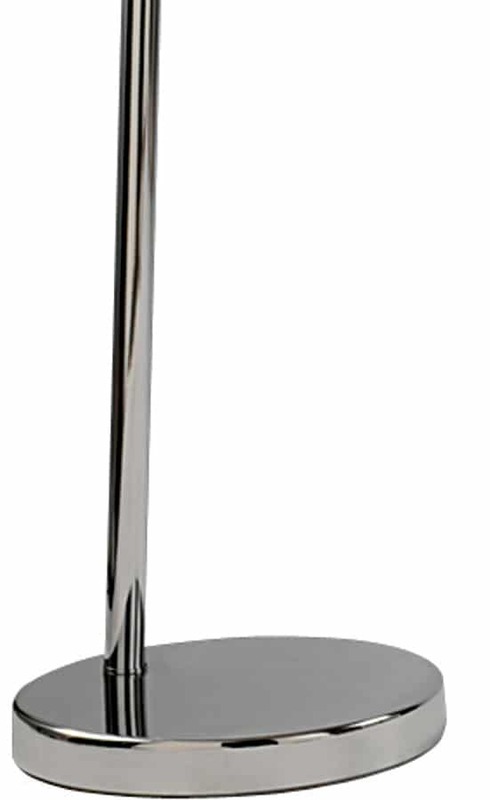 Whether you are looking for a traditional standard lamp or a torchere style of floor lamp we have a comprehensive selection to choose from in our main floor standing lamps category, including mother and child floor lamps.